Date of creation: 11th of November 2005. 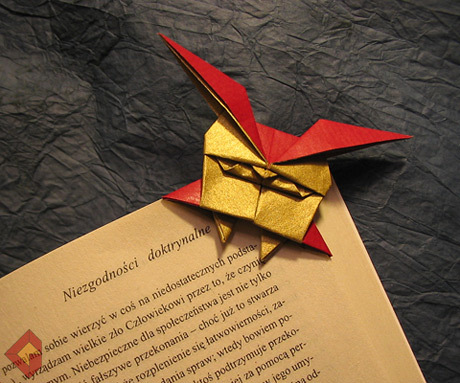 This bookmark has been created from the same base as the butterfly. I feel that there are many undiscovered shapes hidden in that base. Hello!! You do GREAT work!!! I wanted to know if you would be posting a diagram of this particular bookmark and the cat they are my favorites. I love your work!! and thank you for sharing it!! !